Remember the Iran nuclear deal? The one President Obama pushed through and was touted as one of the biggest achievements of his presidency? Obama guaranteed it would keep Iran from developing a nuclear weapon for 10 years. Let’s see how that’s working out. Luckily we have President Trump now unlike Obama where every strike had to be approved by Obama…Trump trusts the military enough to let them decide when a military strike is to be allowed. “Trump authorizes”-and that is what a leader does. He hires people good at what they do and authorizes them to do it. Refreshing. 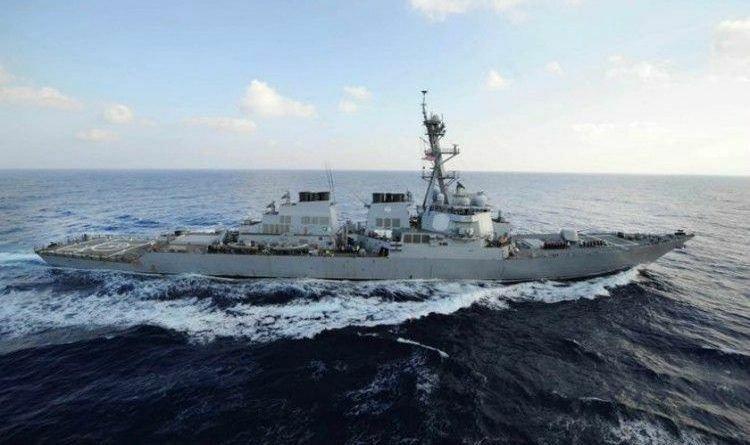 This was very important when a U.S. Navy ship fired multiple warning shots at an Iranian vessel in the Persian Gulf that came within 150 yards of the American ship, the Navy confirmed. The Islamic Revolutionary Guard Corps naval vessel was approaching the USS Thunderbolt at a high rate of speed and ignored warnings from the U.S. ship that included voice communications and sound signals. It wasn’t until the warning shots were fired that the Iranian craft halted its approach, the Navy said. The USS Thunderbolt, a Navy patrol craft, was conducting a coalition exercise in the international waters when the Iranian vessel approached, according to the Navy. The Iranian ship then ceased its provocative actions but lingered in the area for some hours, one of the officials said. There were several US Navy ships in the immediate vicinity at the time of the incident conducting routine patrol operations in international waters, according to the defense officials. Iran’s Revolutionary Guard is claiming that it “foiled the US warship’s provocative move against an Iranian Navy patrol boat in the Persian Gulf,” according to a statement published by Iran’s official news agency IRNA. Playing with us is like playing with fire. Before they wish to advance into the depth of confrontation, they should learn from previous lessons, Iraq, Libya and now The Syrians are all in their most troubling times ever.